Go #SniffSniff and welcome enigma and exciting prizes in your life! As the temperatures rise, our brains slow down to a sluggish pace, nearly going into hibernation till they are woken up by the first rains. But when BlogAdda is here, why fear? We have an awesome new activity to kickstart your brain – the #SniffSniff activity. Gentlemen residing in Mumbai, Delhi and Bangalore, here is your chance to add some mystery and fun to your lives. 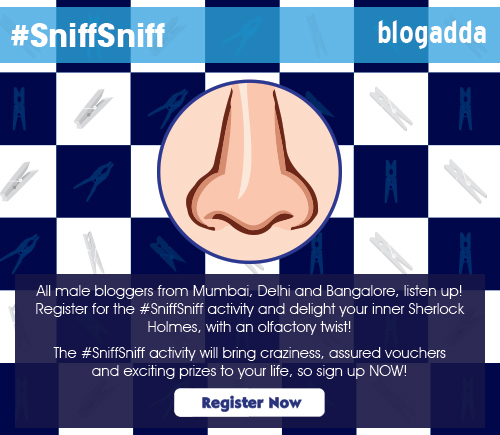 Register for the #SniffSniff activity, and if shortlisted, get ready for unparalleled fun! Let us look into our crystal ball and tell you what’s in store for you. Once you register and are shortlisted, you’ll receive 3 mystery items at your doorstep over 3 days. You’ll have to keep the world updated about the items through social media, guess what kind of product we’re hinting at, and at the end of the activity, blog about the BIG REVEAL. The exciting #SniffSniff activity will not only fan the flames of your curiosity, it will also get you assured vouchers! 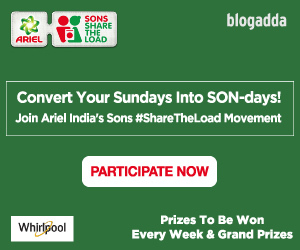 Every shortlisted blogger who blogs for this will get assured vouchers worth Rs. 1000! Remember, we have limited slots (read: interesting items to send across) for this activity, so register at the earliest to make sure you don’t miss out! Please note: This activity is open only for MALE BLOGGERS residing in Mumbai, Delhi and Bangalore. This sounds interesting! Good luck with the activity guys ! Guess we girls will have to wait for another activity. Gurgaon is basically Delhi. C’mon guys! Open the activity for Gurgaon too. 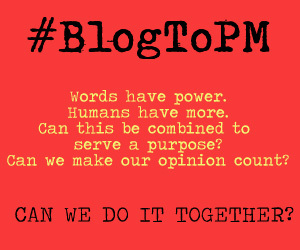 Can bloggers from Pune register for this? @Gkam Thanks for your wishes. Watch this space for more interesting activities! @Shubham Unfortunately Pune bloggers are not eligible for this activity.